Note: A previous version of this story claimed no one had died as a result of the current string of clown incidents; upon further investigation, that doesn’t appear to be the case. For about two months now, there’s been this clown thing happening in America. (Not to be confused with the other clown thing, which started with a bunch of racist comments and wall-building talk back in June of 2015.) People keep reporting that they’re being menaced by clowns (“in the woods, whispering and making strange noises”), or threatening to come to school as clowns, or getting arrested for being dressed up like clowns and chasing people around with a knife. The Verge has a pretty good write-up of this weird burst of greasepaint-based mass hysteria—which may have led to at least one death—but leave it to Time to get to the heart of the matter. 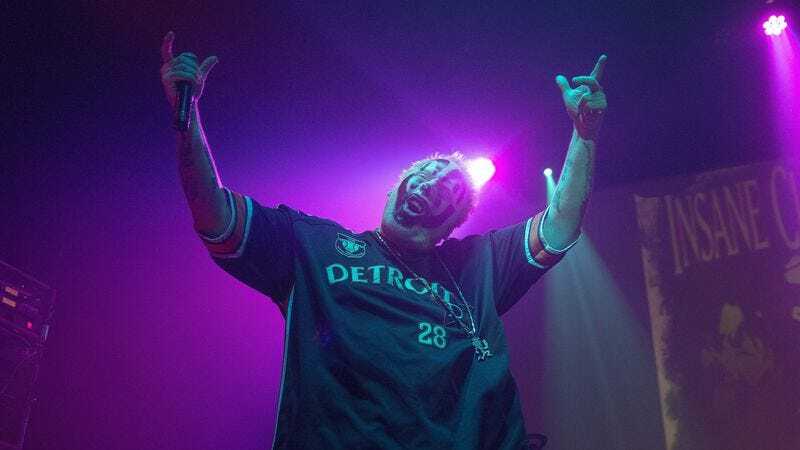 Seeking the real scoop on ClownWave 2016, the magazine went straight to America’s most prominent purveyors of horror-based tomfoolery, Violent J and Shaggy 2 Dope of the Insane Clown Posse, for their thoughts on the current craze. These clowns threaten the very fabric on which our nation was supposedly founded upon—and for some f—ing crazy-a– reason, they’re getting away with it. From keystone-cop clowns shooting unarmed citizens, to racist clowns burning down Islamic centers or clowns in the NSA spying on us through our cell phones and laptops, America has turned into something far more terrifying than Insane Clown Posse’s Dark Carnival.